Happy New Year Trillium Families! Spring Session Begins January 14th. Click "Enroll in My Pre-approved Classes" to get started. For Early Payment 5% Discount - You may manually enter and pay online the following discounted tuition prices, or pay with cash/check at the studio on or before January 20th. Tuition is non-refundable. 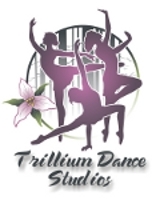 Already Registered with Trillium Dance Studios? New to Trillium Dance Studios? If you have taken classes before with Trillium Dance Studios and you have given us your e-mail address, try the forgot your password link. If not, please contact the office to give us your e-mail address and to set your password.